Blink… Blink… Blink… your cursor teases. Your mind circles with one thought, “I’ve got nothing.” Ding! Oh crap, that’s your reminder of the deadline for this project. You’re not alone. 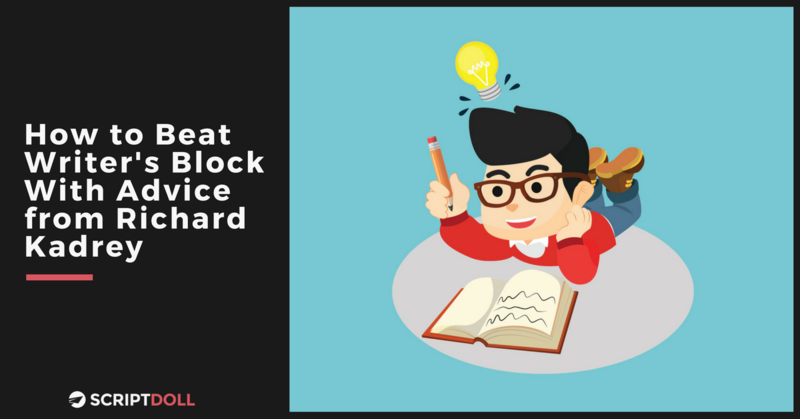 As entrepreneurs, we all experience the dreaded “writer’s block” from time to time when faced with the task of crafting various sales pieces. You should find comfort in knowing even the best writers have had to work hard to overcome writer’s block so they can churn out pages. In fact, novelist Richard Kadrey, who’s published 16 novels to date, certainly knows a lot about this topic. Therefore, Fast Company reached out to him for an interview to gather some of his knowledge on how he breaks down that “writer’s block” wall. To save you some time, we pulled some of his best quotes that’ll help you out with your next writing piece. Taking the time to learn as much about writing as you can is important. If you haven’t studied the craft, then it can be hard to know what the heck you should do to be successful! Kadrey recommends reading Elmore Leonard’s 10 Rules of Writing and Stephen King’s On Writing: A Memoir of the Craft. Then, take what’s most helpful from these two insightful books and apply it to your writing. It can make a big difference to avoid falling flat when it comes time for you to sit down and type away. There are a lot of ways to research and brainstorm for your writing projects. 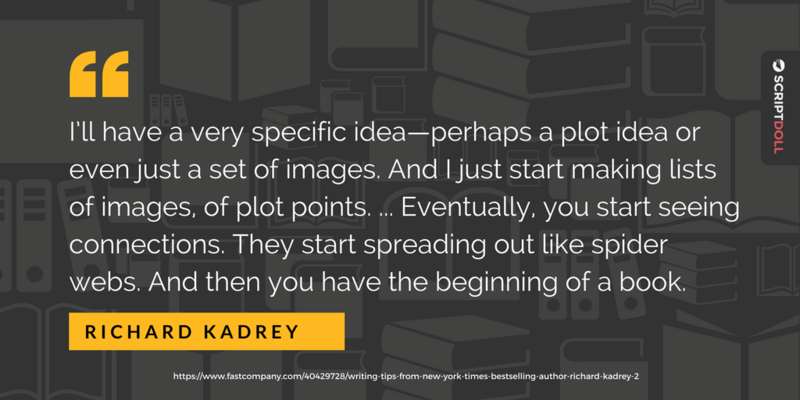 For example, Kadrey writes all of his ideas down in a journal until the plot of his books start to take shape. And, the same writing method can be helpful in your sales pieces. 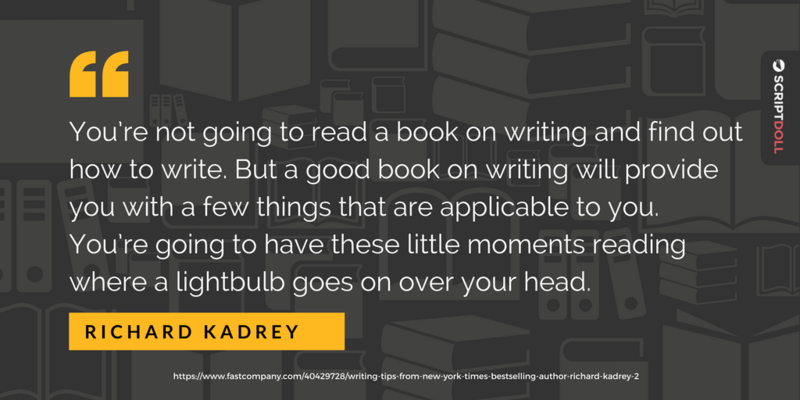 You never know when you’re going to get that “lightbulb” moment. After all, jotting down your ideas as you go along is a great way to keep those creative juices flowing. For a more detailed approach, check out our blog post on 5 Shortcuts to Quickly Write Copy That Will Convert. 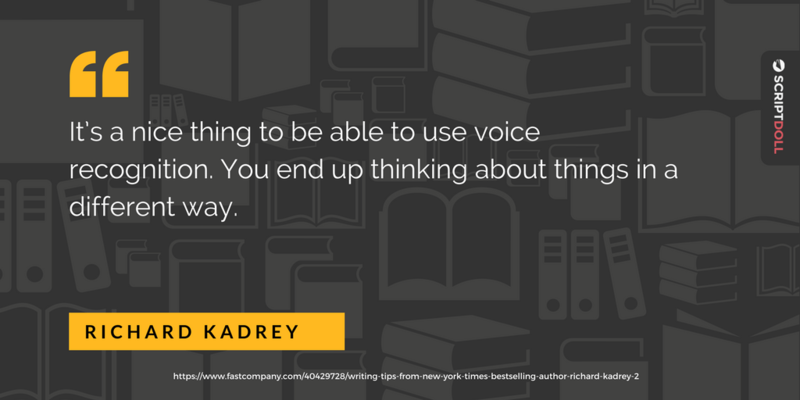 Another method Kadrey uses is the voice recognition program Dragon for Mac (or Dragon Naturally Speaking for PC users). Talking outloud can put a different spin on how you’d normally compose things. It can also speed up the process if you happen to be a slow typist. Go ahead and give it a try! 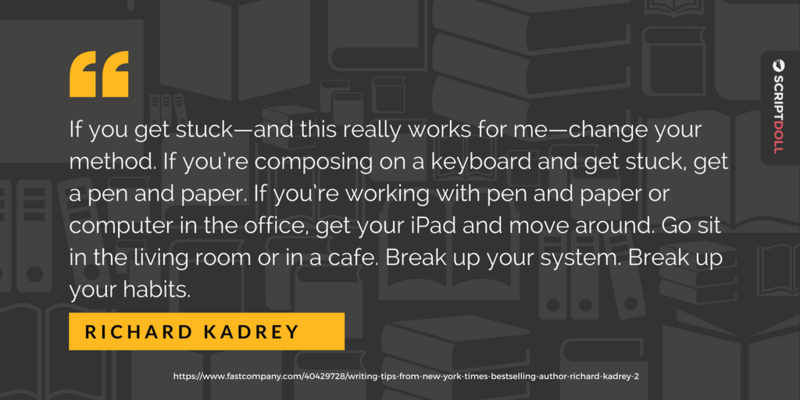 One last trick Kadrey dishes out to bust through writer’s block is changing up your routine. You’d be amazed at how much small, simple changes can make all the difference. For a list of even more suggestions, check out our blog post on The Best 9 Ways to Reignite Creativity. Pick one of these and get started. There’s no time like the present to get your next sales piece underway! Before I wrap up this post, I want to leave you with something that’ll help you make sure you’re hitting all the right notes in your next sales letter. Enjoy a FREE copy of my Copywriting Checklist That Will Make Your Offer Irresistible. All you need to do is enter your email address into the box that pops up to the right of your screen, and it’s yours. Tell me: what’s your favorite go-to method for breaking through writer’s block? Drop it in the comments section below. I’d love to hear from you!